Gone are the vegan cafes of the past, known for dusty planters and wilted salads. Here to stay is the excitement of cruelty-free dining, whether it be for a lunch or as a life choice. Think fresh Tinga Tostada, upscale Pappardelle, and vegan versions of classic comforts like Seitan Philly Cheese Steak. 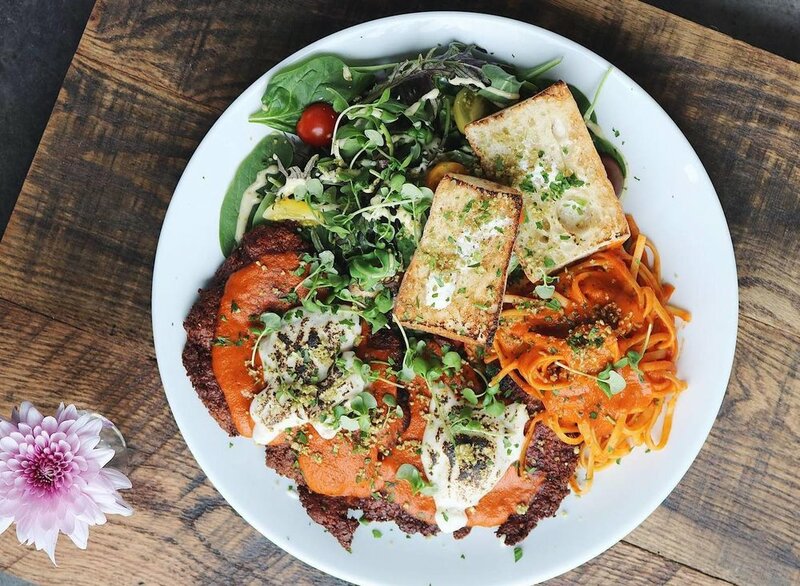 From Nolita to Williamsburg, the real choice you should be making is if you want an electric dance floor or an iconic, Instagram-able menu served alongside your vegan fare. The best part? Your skeptical, non-vegan friends will be too busy enjoying their food to roll their eyes at you. Bunna Cafe is the prime destination for Ethiopian cuisine in North Brooklyn and beyond. Bunna Cafe serves vegan Ethiopian food: hearty, wholesome, nutritious, and packed with flavor. Full of vitamins, healthy fats, veggie proteins, and fiber, their food adds creative twists to vegan recipes that have been refined and cultivated over many centuries. They also serve traditional Ethiopian alcohol -- including T'ej, a sweet, rich, fermented golden honey wine. Souen is a beloved restaurant specializing in organic, macrobiotic & dairy-free dishes "made for healthy eating” run since 1971. No refined, chemicals, preservatives, meat or dairy products are used in their kitchen. They also employ traditional methods of preparation whenever possible to enhance the healthful quality and natural flavor of their food. 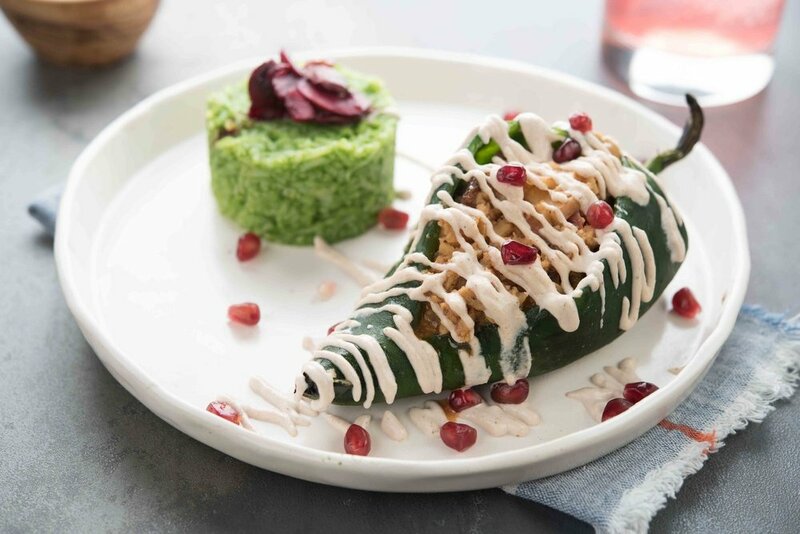 Modern Love is an entirely vegan restaurant in Williamsburg serving vegan takes of comfort food classic by Isa Chandra Moskowitz. Popular dishes include BBQ cauliflower wings, mac and cheese and the Caribbean jerk tofu. JAJAJA Plantas Mexicana is Contemporary Mexican spot with a colorful, all-vegan menu, plus tequila & mezcal cocktails. Vegan baked goods & comfort-food items served in a retro diner setting. Tucked in a two-story historic townhouse in the Chelsea neighborhood, Blossom Restaurant sets the standard for cuisine and atmosphere in upscale vegan dining. Blossom Restaurant is certified Kosher by the International Kosher Council under the supervision of Rabbi Zev Schwarcz. Tiny pizzeria serving an array of all-vegan New York–style pies, plus calzones in a casual setting. Upscale menu of creative, gourmet Korean fare in a tranquil space where shoes come off at the door. French-influenced Caribbean fare is all vegetarian at this 16-seat BYOB cafe with bold colors. Refined vegan dishes & global wines served in a snug, brick-walled eatery with a branch chandelier. Lively cocktail bar with dancing & a vegan-friendly menu of tacos & Latin-inspired small plates.